Formed in 1984, the Fields of the Nephilim take their name from the Biblical legends of Nephilim, who were fallen angels expelled from Heaven for divulging hidden knowledge to humans. Their debut occurred in 1985 with their Burning the Fields EP, of which 500 copies were originally released on their own Tower label. The EP, even though being rather limited, caught the attention of Beggar's Banquet, who released the "Power" single on the Situation2 label the following year. Quickly, the band secured their own individuality of a superficial pastiche of spaghetti western chic. This look embodied the essence behind the image of "dust and death", and reflected the band's fascination with the darker side of life. Through continual touring, the band gathered a barrage of followers. Dawnrazor (1987), the first Fields of the Nephilim album, established the band's distinctive sound, along with the visual images associated with live performances and their video for "Preacher Man". All four of the singles ("Preacher Man", "Blue Water", "Moonchild", and "Psychonaut") off of the album reached the top of the independent chart and climbed the UK Top 40 national chart. 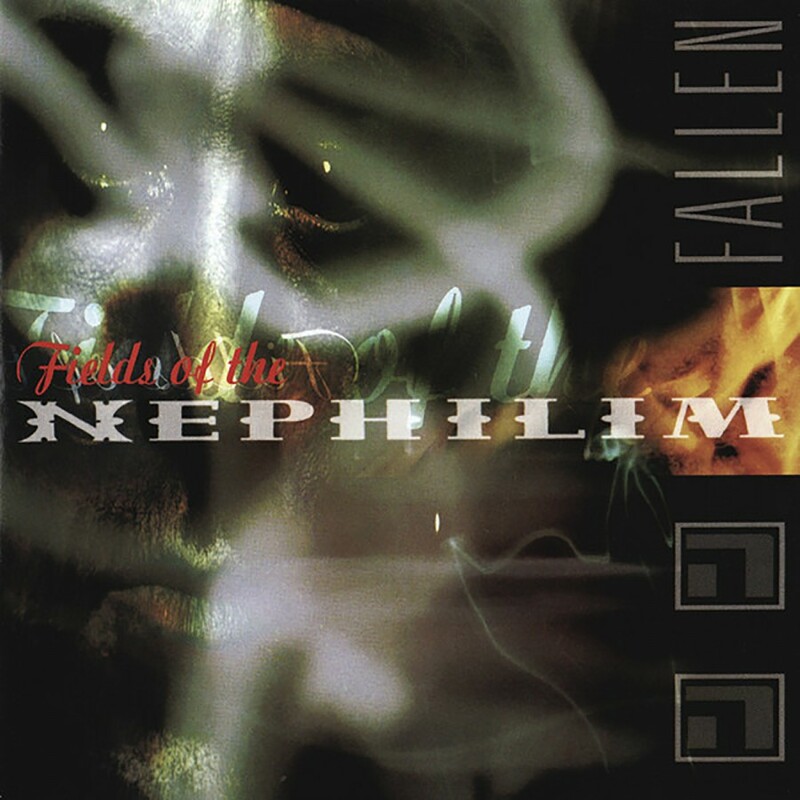 In 1988, they produced their second album, The Nephilim, which debuted on the UK Album Chart at number twelve. A live concert video, "Forever Remain", was released to document the band's epic performances. "Morphic Fields", a collection of the band's three prior videos, was released in 1989, along with the video for "Psychonaut", which in turn caused some considerable stir. The third studio album, Elizium, was issued in 1990, along with two more videos, "Sumerland", and "For Her Light". A double live album recorded at Brixton Academy, Earth Inferno, followed Elizium up the UK Top Forty. A video was also released to supplement the live album titled Visionary Heads. Then in early 1991, Fields of the Nephilim performed two shows at the sold out "Fire Festivals" at the Forum in London, and split up. After the break up, Carl McCoy, vocalist, explained "We had never had a break in our career, so we needed one to pursue our own separate ideas. The reformation is inevitable, really, because it's unfinished business. We owe it to the fans too." Carl produced a new project, Nefilim, while the other band members continued on with Rubicon. Finally after nearly a decade of wonder, Fields of the Nephilim announced their return by appearing at major European festival dates during the summer of 2000. Their first comeback release was the "One More Nightmare (Trees Come Down AD)" single with a b-side, "Darkcell AD" on Jungle Records, the home of their original label. The songs on the single were radical re-works of two tracks from their Burning the Fields release. "The reason we're releasing those tracks first is that they're a good stepping-stone from the past to what we're doing now," said Tony Pettitt. Their 2002 album (and first for Metropolis Records), Fallen, took their "dust and death" image to a deeper level. Each track was dramatically heavier than their previous work, which allowed the band to explore new levels of musical genius. Hard rock songs and atmospheric tracks were blended brilliantly together to form a coherent revolutionary journey into Fallen's depths.